Since opening Lakes Escapes – West Cumbria’s first live escape rooms, back in late April 2017 it’s been a busy few months. We originally opened with just one room which was Baker Street. This has proven to be our most difficult challenge but it’s certainly a popular game. Shortly after, but with lots of hard work and help from family we managed to open Quest For The Throne which gave those desperate for another game to play the opportunity to try something different to Baker Street. Another successful room with an element of surprise that has seen us witnessing lots of teams squealing in both delight and surprise. We won’t give anything away for those yet to play this game but at least now we do remember to turn the volume down on our headphones when we reach that point in the game. Living in Workington ourselves we know that sometimes it’s difficult to find something to do as a family or group of friends. We do have some other options available to us but it can become tiresome doing the same thing time after time so having an adventure game on the doorstep is something out customers tell us over and over that they really enjoy. Some seem to enjoy seeing the look of confusion, the boredom or even the sheer panic on the faces of their friends that they have dragged along to this strange place. Not telling them much about what they are about to experience and leaving them to wonder what on earth made them agree to such a crazy thing. We take pleasure in seeing those same people completely change from that worried person to someone who is having so much fun they are racing around the room and full of adrenaline, raring to beat the room. The exhilarating feeling they experience from playing the game leaves them desperate for their next game and it comes as no surprise to us when a team plays one game then decide to immediately play another one. Moments like these makes all the hard work we put into creating Lakes Escapes and our themed escape rooms worthwhile. Moving on a few months we then brought Dr Frankenscraft’s Monster to life. What started out as a small idea in the head of one of the business owners transpired into what has become a favourite of our game players. He’s a friendly Monster, the one in the game I mean, not the owner. If you can succeed in bringing him to life he will protect you. In this time we have taken on staff and we now have a lovely team of Game Masters just waiting to make your experience with us the best you will come across. We all want you to succeed and complete the game objective and we will help as much or as little as you want us to. More recently we have built our Christmas themed escape room, Santa’s Naughty or Nice List. Now, as a family we know that this can be a really expensive time of year so with this in mind we took the decision to cap this room at £60. It can be difficult for a family to scrape money together for a day out so with this room a team of 6 players can come along for only £60. As a small family business we are trying to bring something different to West Cumbria that is accessible to everyone and we hope we have achieved that with this offer. Please note though that this escape room will close early January 2018 and with bookings already filling up you don’t want to leave it too late and miss out. 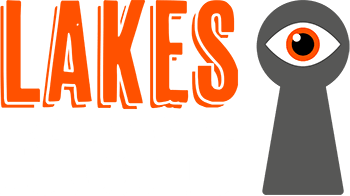 In the short time we have been open we have welcomed hundreds of teams to Lakes Escapes. We have brought tourists to West Cumbria and we show them there’s more to the Lake District than lakes and fells and they hopefully spend more time visiting Workington, Whitehaven, Maryport and other places out West. We have also hosted many corporate events for local businesses who bring employees who are both from this area and from all over the world. It has been an honour to host everyone who have come through our doors and we are truly humbled by the many fantastic comments and reviews we receive from our amazing customers. Not only do you have fin when you visit us but we have fun watching you all enjoying yourselves. When we see people returning to us to play again and teams sticking around for a chat we love it. We took a big risk in trying to bring something different to Workington and with your help I think we have succeeded and we will strive to improve on what we offer. For those yet to visit us why not give us a call or message us on our Facebook page. Don’t let the fear of the unknown hold you back. We don’t ever lock anyone in our escape rooms and you are free to leave the room at any point. All of our games are suitable for players from aged 5 upwards. Children under 12 must be accompanied by an adult in the room. We host parties too so why not contact us to arrange a birthday party, hen party, stag party or Christmas party or if you’re looking for that something different for a gift then why not buy a gift voucher. We can make them for any amount you require. An escape room is where we put your team in a themed room and you must try and escape by solving puzzles and challenges. You will have 60 minutes to complete the mission. Each game is ideally for 2-6 people. Do you organise corporate team building and private events? Yes! Our escape room experiences are perfect for team building exercises and group fun. Who can experience the escape room? The escape room experience is for people of all backgrounds and genders who love puzzles and interactive challenges. Please note that children under the age of 16 will need to be accompanied in the game by an adult. We are open from 10.00am to 10.00pm, Mondays to Sundays. What do I need to bring and what should I wear? There is nothing you need to bring. Everything you need will be supplied. We would recommend you to wear comfortable clothes and shoes you can move around in. When should I arrive and where is it? We recommend teams to arrive at the time they booked ready for your briefing and introduction. How much would it cost and how can I book the tickets? Our prices will vary per person depending on the size of the group. The more players in a booking, the cheaper it is! Bookings can be reserved through our online booking system and will require a minimum group of 2 people to a maximum of 6 people for selected rooms. I am claustrophobic; can I play? All our games have good size rooms with a reasonable ceiling height. Players are also free to exit the rooms at any time during the game. Speak to any member of our team if you have any concerns. Are your escape rooms hard? Each of our rooms is designed to be a challenge, but they are not unbeatable! Every room is solvable if you work as a team. Either you are successful and you achieve the game objective or you run out of time and the game is over. We are delighted to advise that we can accommodate wheelchair users. There are ramps available to enter the building, so please ensure you let us know of your needs, and there are permanent ramps placed at all fire escapes.